“Hands up don’t shoot” was a lie. 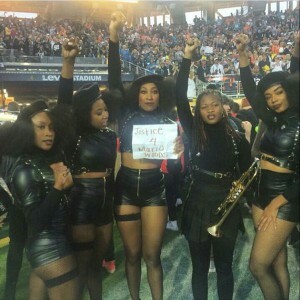 The phony “Black Lives Matter” movement exists solely as a tool for Democrats to create civil unrest and racial divide when they need votes and are recent, million dollar benefactors of Beyonce and JZ. Advocacy of violence against police and black racism are now considered hip–so hip that PepsiCo and the NFL thought it worthy to give these dangerous themes an audience of 115 million people. Mario Woods, a black man who lived in San Francisco, had an extensive juvenile record involving firearms and gang activity and spent nearly all his adult life in prison. On December 2, Mario Woods was suspected in a stabbing. According to police records, officers arrived to find Woods at a T-Third San Francisco Municipal Railway stop, holding a bloody knife and with blood on his clothes. The officers said Woods moved toward an officer while still armed with a knife, prompting the officers to open fire. The ACLU, lawyers, and the family of slain Mario Woods have been demanding a federal investigation into the police shooting. Lawyers representing the Woods family have called it a wrongful shooting, although video shows Mario Woods was allegedly armed at the time of the incident with a knife. The U.S. Department of Justice just launched a review of the San Francisco Police Department in response. Contrast that with slain white woman Kate Steinle, who was fatally shot on San Francisco’s Pier 14 in July 2015, by an illegal alien, Juan Francisco Lopez-Sanchez, whose criminal history includes seven prior felony convictions and five deportations. Steinle was walking on Pier 14 in San Francisco with her father on July 1 when she was shot dead. Within the hour, police arrested Juan Francisco Lopez-Sanchez, a five-time-deported illegal alien. No DOJ case was opened to investigate why the five-time deported Lopez-Sanchez was in San Francisco, a sanctuary city. “Adante Pointer, another attorney in Burris’ office, played one of the videos again at Monday’s news conference,” NBC Bay Area reported. “This is not just an incident but a person executed in broad daylight on a public street,” Pointer said. San Francisco Supervisors, London Breed and Malia Cohen, called for a federal investigation into Woods’ shooting and other supervisors publicly apologized to the family while also calling for a review of use of force policies. Not one public official from San Francisco offered an apology to Kate Steinle’s family. Adding insult to injury, President Obama made the murder political, and blamed it on Republicans. “It’s because of the political efforts of Republicans that we have not been able to make the kind of investment that we would like to make in securing our border and keeping our communities safe,” White House press secretary Josh Earnest said in a statement on behalf of the President, as he blamed Republican lawmakers for Kate Steinle’s death. However, as Hans von Spakovsky noted in an article in The Daily Signal, “it was the Obama administration that announced in 2010 that it would not sue sanctuary cities that refuse to cooperate with the federal government on immigration enforcement. Kate Steine’s family had to sue San Francisco Sheriff Ross Mirkarimi, the U.S. Immigration and Customs Enforcement, and the Bureau of Land Management for some justice. The only conclusion one can draw is that Democrats are relying on the greatest lie ever told—“hands up don’t shoot,” in order to protect and dismiss lawlessness and disorder, and to further parrot “institutional racism” in order to get blacks to vote for Democrats in 2016. 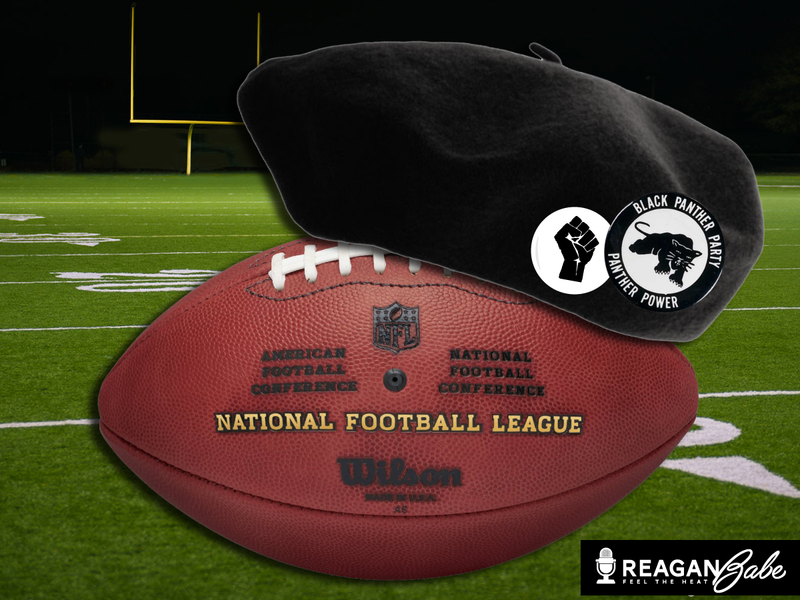 Whether it’s Bernie or Hillary, Beyonce or the Black Panthers, the NFL or Pepsi, marxism is center stage, while the rest of us spectators are left with mouths agape, wondering how our American Superbowl has been turned into a political football. 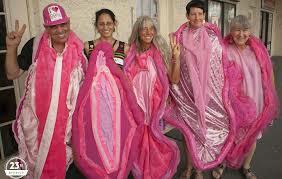 Perhaps next year they will invite Code Pink? Pink vaginas. Maybe that is what the game of football is missing…just don’t forget the glitter bombs. Megan Barth is the founder and proprietor of ReaganBaby.com, a nationally recognized political commentator and woman’s advocate. She has appeared on NewsMax TV, One America News Network, America Trends with Dr. Gina, The Blaze Radio, and has regular weekly appearances on a variety of nationally syndicated radio shows. Katy Grimes is an investigative journalist, Senior Correspondent with the Flash Report, and Senior Media Fellow with Energy and Environmental Institute. A longtime political analyst, she has written for The Sacramento Union, The Washington Examiner, Watchdog.org, The Pacific Research Institute’s CalWatchdog, The San Francisco Examiner, The Business Journal, E&E Legal, The Sacramento Bee, Canada Free Press, and Laura Ingraham’s LifeZette, and can be heard regularly on many talk radio shows each week.